"Things Are NOT as They Seem!" I was training a small group of visiting Wado-Ryu stylists in “Slow Zen – Mindfulness” training this weekend and we began taking about kata. Sigh. . . .
Mawashi Hiji-Uke (Harai) or a “Sweeping Elbow Block” In Matsubayashi-Ryu traditionally this is referred to as a shoulder block. Seeing the move as a sweeping elbow block or a shoulder block cannot be, or should not be, the correct interpretation of the move. I tried block a straight punch with first my elbow and then my shoulder. Even knowing when the strike was coming it was nearly impossible to effectively block and left me in a vulnerable position with my back exposed to the attacker. Don’t believe me? Try it. I then experienced a “BFO” (Blinding Flash of the Obvious)! It is neither a elbow or a shoulder block, it’s a side step, upper body only. The strike is launched and you spin your upper body to avoid contact, but just barely. This placed you in a perfect position to execute a reverse back fist to the unprotected head of the attacker and positions you perfectly to trap their extended arm and take them to the ground or dislocate the shoulder, All in a fraction of seconds. This is NOT a beginner technique, it is simplistically sophisticated! Not only that but it also adheres to Nagamine Shoshin’s doctrine incorporating his view of sidestepping to avoid contact while place yourself in an excellent position to counter strike. How is it I never saw this before? The old Okinawan saying is there are no secret techniques in karate. Apparently this is true, this was staring me in the face for 20+ years. Time to go back an look at the Fukyugatas! 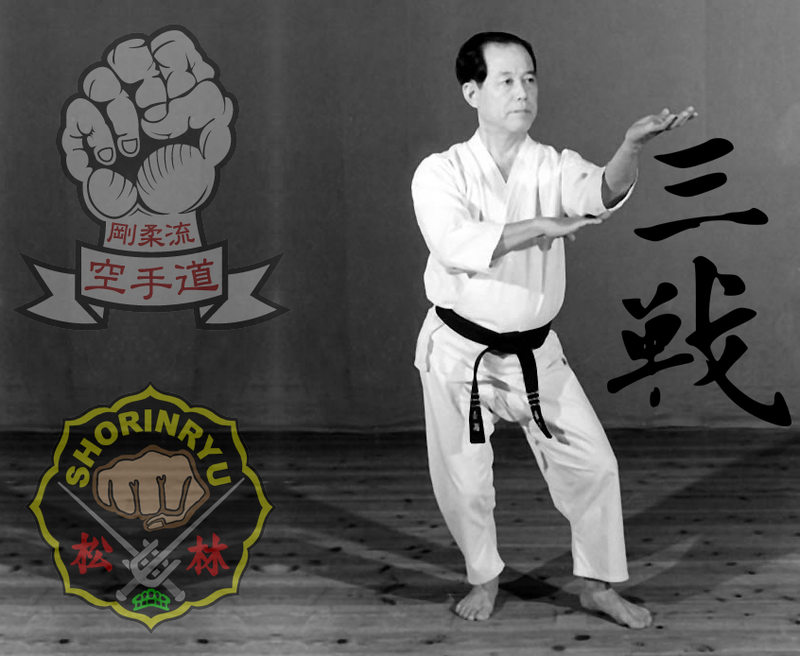 What is Okinawan-Karate really about? - Exercise and Physical Training? - None of the above? Karate is about a singular event in your life, the moment you either take another person's life of give them yours. Karate is about life and death, that moment where years or decades of training suddenly are called upon and you either live or die. I know, sounds melodramatic; but it's not. I can train you in karate, I can teach you blocks, punches, kicks, yadda-yadda-yadda, but how do you learn to kill? How do you take a technique you've learnt in a safe, nurturing environment with other yudansha who you know will not intentional hurt, maim, or kill you and suddenly move beyond those limitations and terminate another man's life? "Well I can train full contact." You can, in it might help, but in that moment of singularity when the awareness leaps into you mind and you realize "for me to live, I must kill", how do you prepare, more importantly how do I prepare you for that moment? We've all heard the instructors, at that time of month when their testosterone it at it's highest, encouraging you to "gouge their eyes out. … rip of their arm and beat them to death with it…" and other mindless pabulum. If you're 12 years old it does sound C-O-O-O-O-L but it's dumb. It doesn't work. Worse yet, if you do injure, or maim someone their lawyer will sue you AND your instructor who spouted off that maniacal crap. Few martial arts students have been in actual hand-to-hand, life-or-death combat. So what we say we would do is based on a mindless repetition of what other equally mindless peers and instructors have told us. Maybe we should consider thinking for ourselves? You've probably never heard of Col. David Grossman, but you should have. He's not a martial artist in the oriental sense of the word but he is a true renaissance martial artist. He's an Army Ranger and PhD psychologist who taught psychology at West Point (the U.S. Army Military Academy). His expertise is in how we teach young boys out of high school to become killers when everything in society tell them such behavior is abhorrent. Col. Grossman is the developer of The The Warrior Science Group. He has written such books as; "On Killing: The Psychological Cost of Learning to Kill in War and Society",. . . "On Combat, The Psychology and Physiology of Deadly Conflict in War and in Peace", . 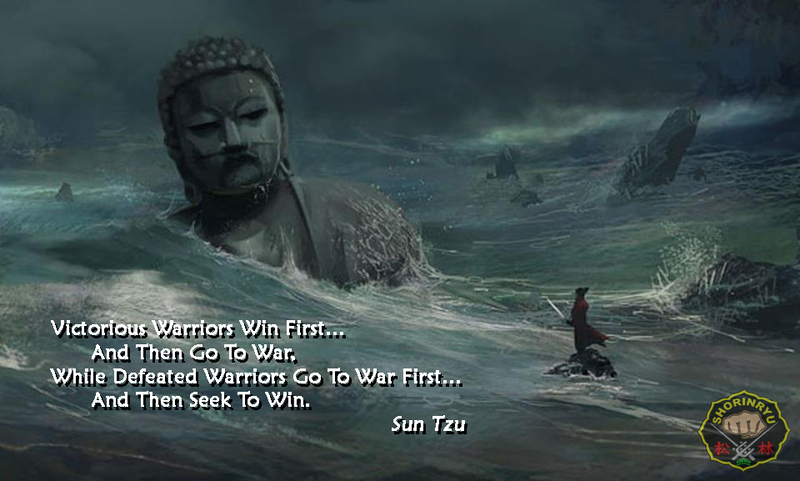 . . "Warrior Mindset", . . . and others. As a paramedic/critical care/emergency/flight and Air Force nurse I will tell you the human body is, at best, frail. Death can be produced easily. It's not like the movies; there's no sound track, not drums; one second you're alive and the next second your dead. It's that simple. The next morning the monthly bills arrive, a new contestant is thrown off Survivor, the phone rings, Email continues, etc. The world continues to turn, unaware, unaffected, by the death. Funerals, Wakes, Stencils on Windshields, are NOT about the dead, they are about the survivors. The physical act of killing is a surprisingly simple task. The psychological preparation prior to taking a life and the psychological preparation for dealing with the aftermath is far more difficult and training I have never seen in a dojo or even talked about except in mindless "manly" banter. Colonel Grossman breaks down the B.S. into the reality of the act. If you are not familiar with Col Grossman's works, consider "On Killing: The Psychological Cost of Learning to Kill in War and Society" it's available in both print and audio CD. He talks about the detrimental effects of learning to kill to the individual and society. In the process you learn a lot about how individuals become indoctrinated and capable of killing despite societal admonitions against such acts. Think about it, I can teach your 4,000 different bunkai to 27 different kata and in a fight you'll throw up you arm and cower behind them while you opponent rains down the blows. Or if we follow the Osensei's teaching when he says "it takes 10 years of training to become proficient in one kata" we respond instinctively, muscle memory, mindlessly and yet completely mindful. "Mizo no kokoro" in all it's beauty and simplicity! You may have the most perfect execution of Kusanku, your dojo buddies have acclaimed you as the next Bruce Lee, but on the street, when assaulted, you will do three things; block, punch and low kick. Why? Because THOSE are instinctual, mindfully mindless. If you stop to think about what technique to do next, or worse yet, you've learned SO many techniques you can make up you mind what to use; you're road-kill. Okinawan Shorin-Ryu Blogspot Top 10 List! 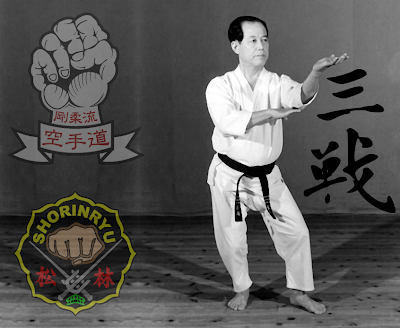 Ten things that will tell you that you are NOT studying TRADITIONAL Okinawan Karate. 10. You are NOT in Okinawa. 9. Your Sensei is American or Occidental. 8. Any technique starts with "Now this is a technique I took from (another style)". 7. Your American Sensei is a 10th degree. 6. Your Sensei is a convicted felon. 5. Your Sensei says his master flew 14 successful Kamikaze missions during the war. 4. Your Sensei promises to teach you a "secret Okinawan Master's" technique for $19.95. 3. Your Sensei promises to teach you a "secret Okinawan Master's" technique. 2. Your Sensei claims to have participated in a "Death Match" (win or lose). 1. 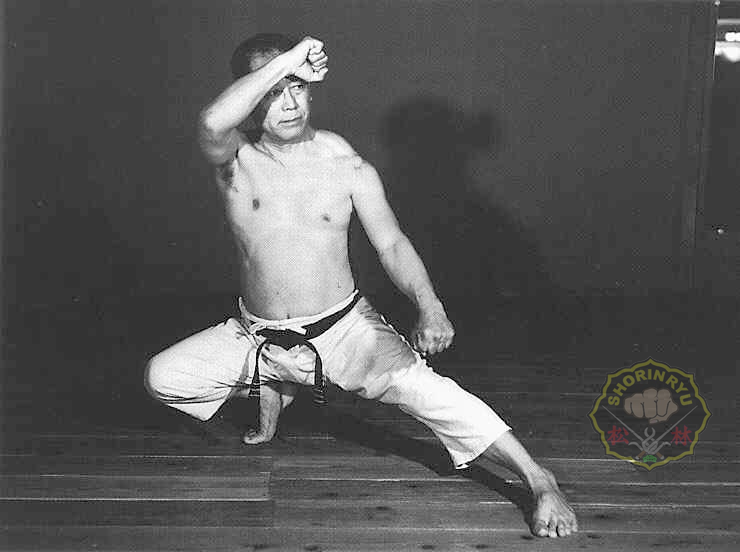 Your Sensei says "We teach Traditional Okinawan Karate-Do!". Type 1. Sport Karate - Not everyone wants to become the next Bruce Lee and more power to them for being honest. While karate develops physical fitness, this style focuses on the physical fitness aspect of the art. Fine - just don't tell your students they are learning "self-defense"
Type 2. Tournament Karate - American Egos are more numerous than American Eagles. That's ok, most of us have an ego that rears itself in the most inappropriate time. Just don't confuse "tournament prowess" with "Karate skill". I can put a black belt on a golden glove contender and he too will win karate tournaments but would you want to learn karate from him? Type 4. Modified "Traditional" karate - OXYMORON! If it's MODIFIED it not TRADITIONAL. If you change a technique "cause it works better that way" it may indeed work better but it's no longer traditional "As the Okinawans taught". Type 5. Traditional American/Okinawan Karate - This is the closest you can get without actually training in Okinawa. 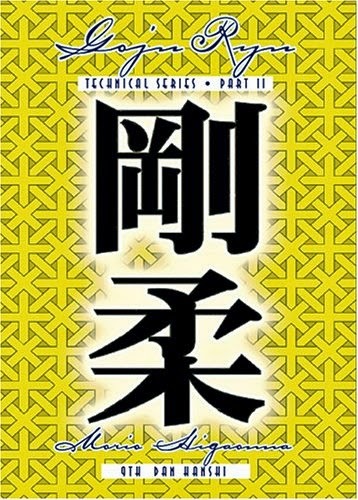 The Sensei is either an Okinawan expatriate, trained in Okinawa or trained under an instructor trained by either and who changed NOTHING, hence the traditional part. Is it 100% traditional? of course not but it's the closest till you book your trip to Okinawa to learn "Modified Traditional Okinawan Karate"!! WAIT A MINUTE! I thought you were going to tell me how to learn TRADITIONAL OKINAWAN KARATE!! 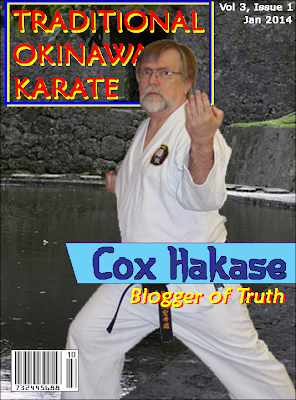 Sorry to break it to you but "Traditional" Okinawan karate died the day the first Okinawan started teaching Karate at the Kadena Air Base USO (outside BC and Gate 2 Street) and other assorted US Military bases. Traditional Okinawan karate is taught to a very small dojo or a few students in back yard, hidden away in Okinawa. Gaijins not welcomed. Some HAVE made the transition and been accepted into true Okinawan dojos but most have not. Oh, by the way, if an Okinawan Sensei says "I'm teaching you the same way I teach my students in Okinawa" he's probably telling the truth... Sadly.